This is what happened this morning at ECP bedok jetty. 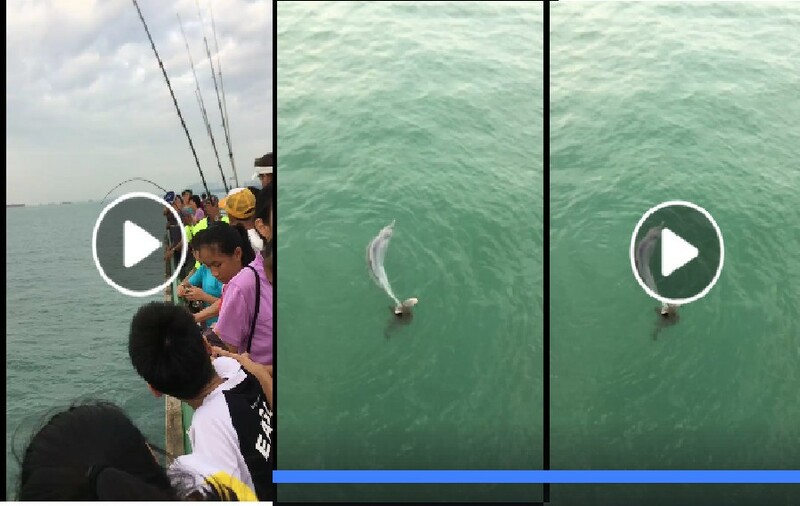 An angler caught the Dolphin with his fishing rod and tried to reel it in. Many people told him to cut his line but he didn’t want to. I called ACRES to come help save the dolphin. The guy finally cut his line and the dolphin slowly swam away. It seems that the hook was caught at the tail with some seaweed on it. Hope it will be able to get rid of the debris from it’s tail and rejoin it’s family soon. Previous ArticleBEWARE! YISHUN FRUIT SHOP SOLD DURIAN WITH WORMS!! !